Pet Tip: Have you ever wondered how dogs can track people? A scent trail is made up of cells that fall off the body. A dog can pick up an individual scent even in a crowd because no two people have the same scent. 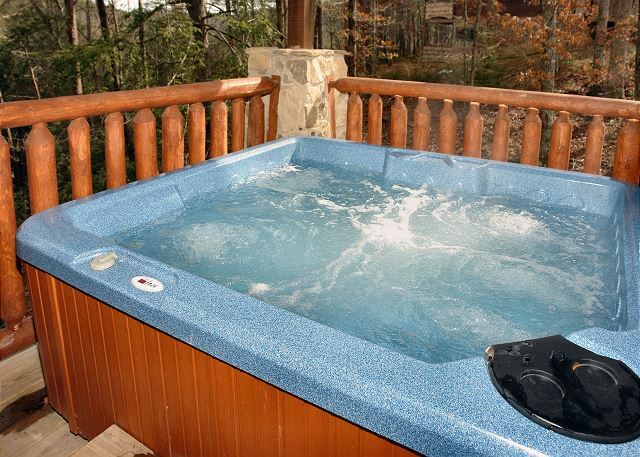 Cedar Creek Crossing near Pigeon Forge, TN Beautiful log cabin with open floor plan that offers a gas fireplace, in-room jacuzzi, covered hot tub, & King bed in the loft. 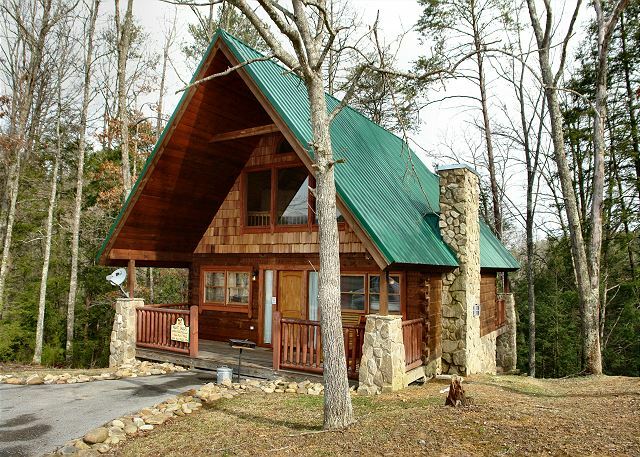 This log cabin is in a romantic wooded area just 4 miles from Light #3 in Pigeon Forge. 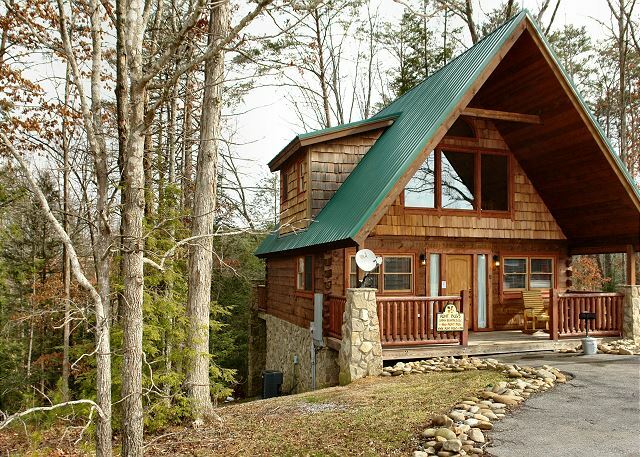 This romantic getaway cabin offers premium furnishings, big flatscreen TV with Netflix capability, mountain views, wifi internet access, and a pool table too! Call and book your vacation today! You will LOVE Hidden Romance cabin! Select your Arrive Date and Depart Date on the calendar above. Rate Information: Rates may not include all applicable taxes, fees, & extra person charges. All rates and charges are subject to 12.75% lodging tax. COPYRIGHT © 2012 AUNT BUGS CABIN RENTALS, LLC. ALL RIGHTS RESERVED.